Buy Now $59 USD 60 day money back guarantee! 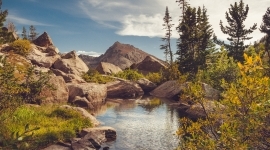 Save Time, Transform Your Photos. 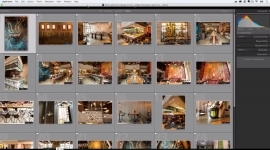 Photographer Mike Newton has helped tens of thousands of photographers learn Adobe Lightroom and is here to teach you exactly what you need to know to take your edits and efficiency in Lightroom to the next level! 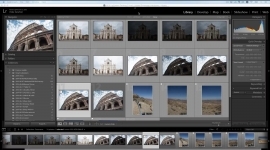 Learn the ins and outs of Adobe Lightroom and take your photos from average to amazing, even if you have little experience with it.! Import and sort all your photos for maximum efficiency and storage. Master detailed retouching techniques to smooth skin, make eyes pop, whiten teeth, & more. 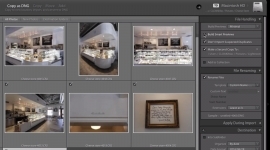 Organise catalogs, folders, & collections so you can find any photo instantly. Get photos ready to print at home, or perfected for the commercial printer. 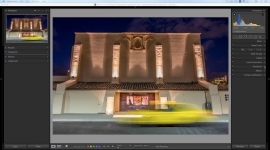 Create gorgeous panoramas and HDR images from right inside of Lightroom. 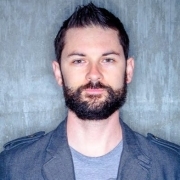 Mike Newton is a professional architecture photographer based in Southern California. 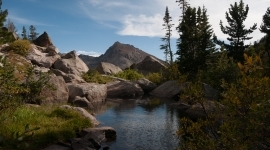 Mike teaches photography and Lightroom on his website, and shares free tips and tutorials on his blog. You can check out his Lightroom and photography resources here. Course modules Here is a complete list of all the modules in the Lightroom Mastery course. 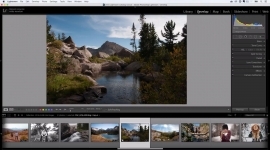 1 Introduction Welcome to Lightroom Mastery! Please watch this intro to get the most out of this course. 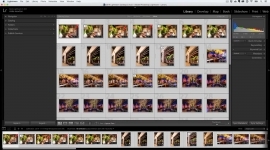 2 How to Import Photos and Video into Lightroom (12:57) Importing is more than just getting photos from your memory card into Lightroom. This video will show you how to set yourself up for excellent organization right from the start. 3 How to use the Lightroom Library Part 1 (13:11) Now that your photos are imported, you need to be able to view and sort them efficiently. 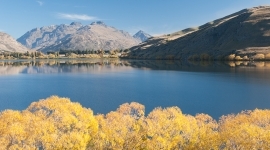 We will cover all the ways to view your images, quick basic editing,. 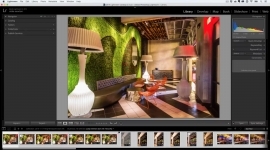 4 How to use the Lightroom Library Part 2 (17:56) This module will show you my fast and efficient way to quickly rate and rank photos for fast sorting. We’ll cover publishing photos directly to Facebook, how to remove/delete photos. 5 How to Edit: Part 1 (23:08) Now it gets exciting! In this module we will open up one of my photos and start editing it. 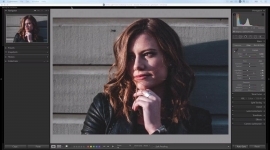 We will show you how to use the crop tool, basics. 6 How to Edit: Part 2 (19:05) We are going to finish up with the transform panel, effects, and camera calibration panels. We’ll also show you how to ensure the perfect print with soft-proofing. 7 How to Edit: Part 3 (19:00) Now the fun advanced tools! We dive into the spot removal brushes (cloning/healing), red eye correction tool, graduated filter, radial filter, and adjustment brushes! 8 How to Edit: Part 4 (20:16) Lets talk about Lightroom presets, finding lost photos, stacking, the face finder tool, lights out mode, and more advanced topics! 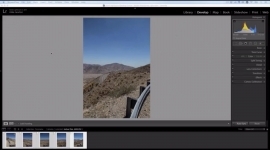 9 How to Create Panoramas and HDR images (10:19) Lightroom has excellent built-in tools for processing panorama photos and HDR images. I’ll show you best practices for creating beautiful images using each, as well as show you how to. 10 How to Bring your Photos to Life: Full Photo Edit Workflow (8:12) In this video I’m going to share my editing steps with you. I’ll describe what needs to be done, share how I make decisions when problems arise, and show you. 11 How to Export your Photos and Create Watermarks (6:09) In this module I’m going to show you how to get your photos out of Lightroom. I’ll also show you how to share photos directly by email, apply watermarks/logos, and. 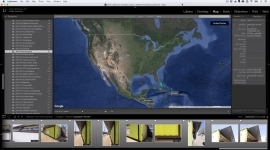 12 How to add your Photos to Maps (2:46) The Map tool is pretty cool and lets you view your photos directly on a google map directly inside Lightroom. I’ll show you how to add your photos onto the. 13 How to Create a Photo Book (8:50) So you’ve created excellent photo edits, why not create a book to show off your images? 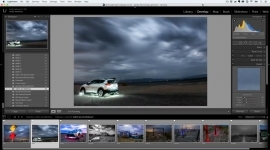 This module will show you how to use the ‘Book’ module in Lightroom to. 14 How to Create a Slideshow (10:33) Another great way to share your images is to create a slideshow. 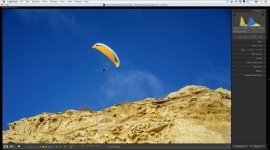 Lightroom offers a very intuitive and easy-to-use tool for creating slideshows. I’ll take some of my own photos. 15 How to Print Quality Photos (6:01) You’ve put all the work into the edit, now its time to print your images! 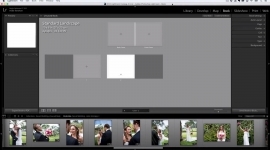 The print module has a ton of great options to ensure the perfect print size,. 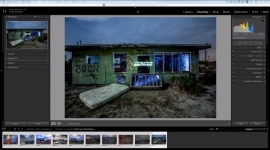 16 How to create your own Web Gallery (6:32) Lightroom provides some great tools and templates if you want to create a web gallery to import into your website. I’ll show you how to create a clean and efficient. As a professional photographer, I would personally recommend this course to anyone and everyone interested in photography; from the most inexperienced novice to the published pro. I would consider this course as important to a photographer as having a digital camera.Bradley Schweit, professional photographer.